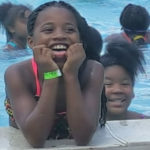 Out-of-School Time Program – Provides high quality, out-of-school time programming for students, kindergarten thru 7th grade, in the under served community of Greater Fulton located in the Far East end of Richmond. We currently serve students from the Richmond City and Henrico school system by providing engagement, interaction, supportive and safe environment. For more information call 804-864-5797 or email ostp@nrccafe.org. Summer Camp – NRC’s Summer Camp is one of our most popular programs. With regular field trips, sports including swimming, cooking classes, arts and crafts and music programs, there’s always something interesting in the hot summertime! Camp includes meals and snacks for the kids, within a comprehensive program of caring. Nutrition – Our Food and Outreach Program is a huge part of NRC’s compassionate caring for Fulton residents. 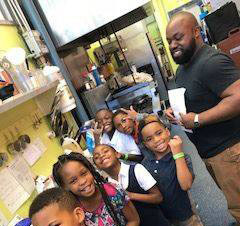 With a complete production kitchen we provide daily snacks and meals, food pantry, event and Pop-up dinners to the community, an award winning summer meals program, and a competitive summer camp program for youth called Jr. Iron Chef RVA. 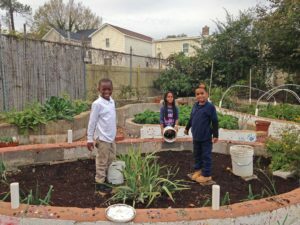 Garden – An important component of NRC, our gardens strengthen the community by providing a natural learning laboratory for kids, and community gardens for the residents of Fulton. We constantly grow fresh vegetables including all kinds of lettuces, beans, greens, potatoes and root vegetables. Fulton Montessori School – To Strengthen Children Through Montessori Education in Richmond’s East End. FMS is a nonprofit school in the East End. Led by Salome Fernando, with 25+ years of experience. With a sliding scale tuition, the school offers: full lunch plus two snacks, Montessori curriculum, Montessori trained teachers in a fun learning environment. For more information call 804-893-7244 or email fultonmontessori@gmail.com.Newly located: 1637 Williamsburg Road, Richmond, VA 23231.